Meet this month's Book Doctor... Jen Campbell! In a reading rut? Want to health-check your reading habits? In our Book Doctor feature, we welcome a guest to prescribe just the right read for any mood or occasion. 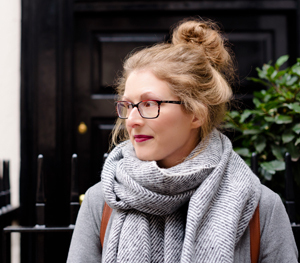 Jen Campbell, author of short story collection The Beginning of the World in the Middle of the Night, as well as Weird Things Customers Say in Bookshops and The Bookshop Book, has picked five questions – sent in by Caboodlers just like you – to answer. Got a bookish bothering of your own? Send your questions in – if we pick yours for the attention of our future Book Doctors, you’ll get a £15/€20 National Book Token! Hi Gwenno. 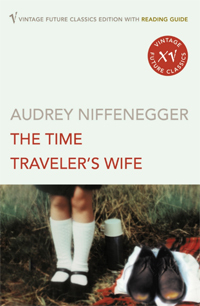 Have you read The Time Traveler’s Wife by Audrey Niffenegger? This is a beautifully crafted book (in fact, it’s so well-crafted that just thinking about all the work that went into it hurts my brain!). I’d also recommend The First Fifteen Lives of Harry August by Claire North which is a twist on time travel, about a man who has to live his life over and over again; and The Stone Gods by Jeanette Winterson, which discusses how love, history and destruction endlessly repeat themselves. Hi Sheena, His Dark Materials by Philip Pullman was my first fantasy book and is my favourite series of all time, so I have to recommend that; it’s about a young girl called Lyra who travels to the far north to try and save her friend, encountering witches, talking polar bears and multiple worlds. 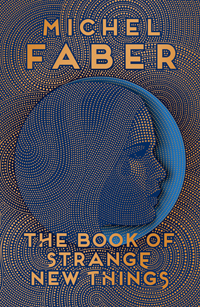 The Book of Strange New Things and Under the Skin, both by Michel Faber, are science fiction books I have revisited many times. He has a way of writing the uncanny that is unparalleled. Oh, and if you’re a fan of Black Mirror, check out Children of the New World by Alexander Weinstein, a collection of speculative short stories. Hi Solange. For picture books, take a look at The Journey by Francesca Sanna and The Arrival by Shaun Tan, both books about refugees and what it means to find yourself fleeing a country. The Island at the End of Everything by Kiran Millwood Hargrave is a wonderful middle grade novel that examines bodily difference, community and friendship. 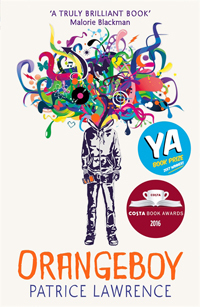 Orangeboy by Patrice Lawrence is a brilliant YA book, and England: Poems from a School edited by Kate Clanchy is a must read: a powerful collection of poetry written by children and teenagers that will stay with you for a very long time. 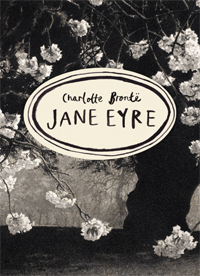 If I remember correctly, l think Jane Eyre was the first classic that I read cover to cover and adored. I would say that is a good place to start. Plus, the BBC adaptation with Ruth Wilson is wonderful to watch after reading, and there are many other texts you could go to afterwards, such as Jean Rhys’s Wide Sargasso Sea. Hi Sarah! I’d recommend Beyond the Bright Sea by Lauren Wolk and My Side of the Mountain by Jean Craighead George. 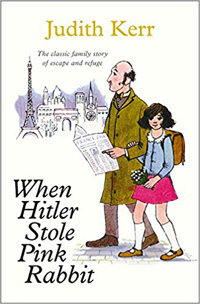 When I was ten I adored When Hitler Stole Pink Rabbit by Judith Kerr (in fact, I still do), inspired by the author’s real life, fleeing Germany just before the Second World War. I found it fascinating and it also helped with things I was about to learn about at school, too. Hope that helps! 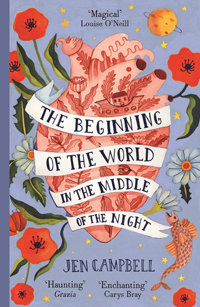 The Beginning of the World in the Middle of the Night by Jen Campbell is out now in paperback, published by Two Roads, £7.99. Need urgent book advice? Why not visit your local bookshop where the booksellers will be happy to recommend your next read – find your nearest here. Don't miss out on this month's giveaways! Win signed books and once-in-a-lifetime prizes. Browse quizzes, reading lists, and recommendations from our guest Book Doctors.